Indian Prairie School District 204 is one of the largest school Districts in Illinois and historically one of the fastest growing Districts in the country. 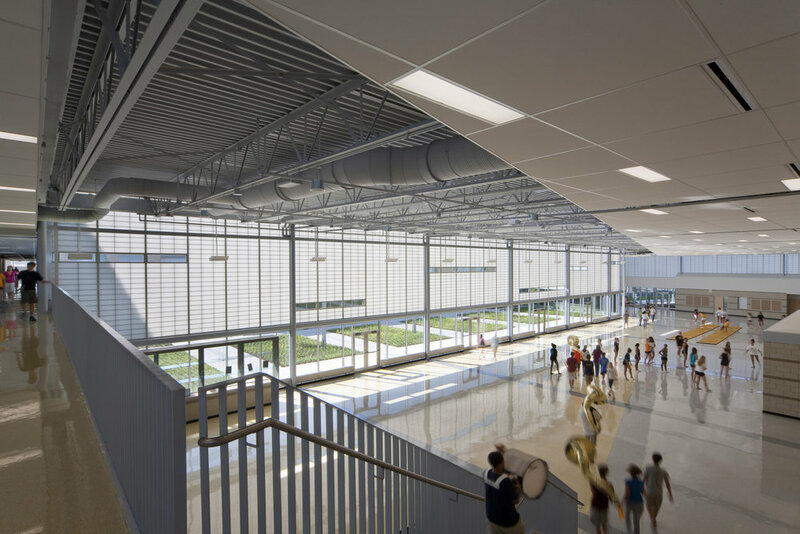 DLR Group's design for Metea Valley High School alleviates overcrowding at the high school level and gives students a personalized learning environment. Four academic "think tanks" (consisting of administrative and guidance offices, student resource rooms, conference rooms and teacher planning centers) flank the central media center and surround outdoor courtyards. Decentralized science labs in each wing provide program flexibility to accommodate a variety of academic models. By locating these specialized rooms throughout the four core areas, the school can be organized by grade level, variety of department types, or into small learning communities. At the core of the academic wing is a 12,680 SF media center. This space together with checkout computer labs, forum rooms and a technology lab delineates two enclosed courtyards that draw natural light into the building. 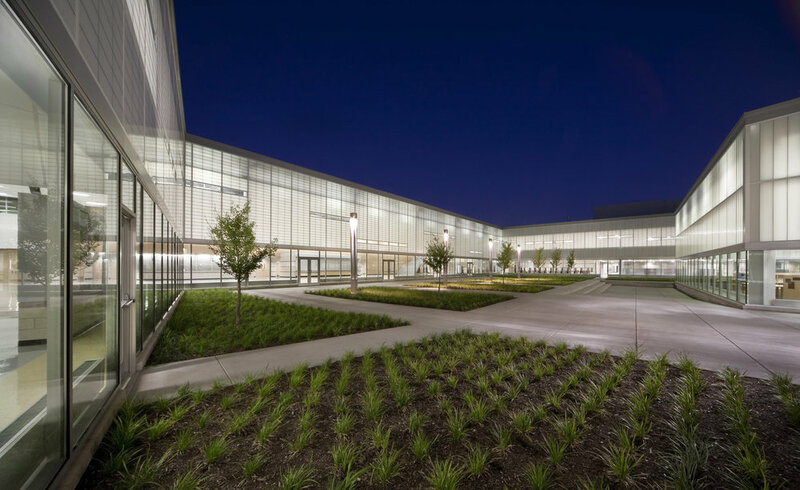 The scope of this project was a 464,200 square foot comprehensive high school to provide advanced educational spaces for 3,000 students. Distinct core instructional areas organized in two wings are supported by administrative offices and teacher planning centers, student lockers and resource areas, and vertical circulation. 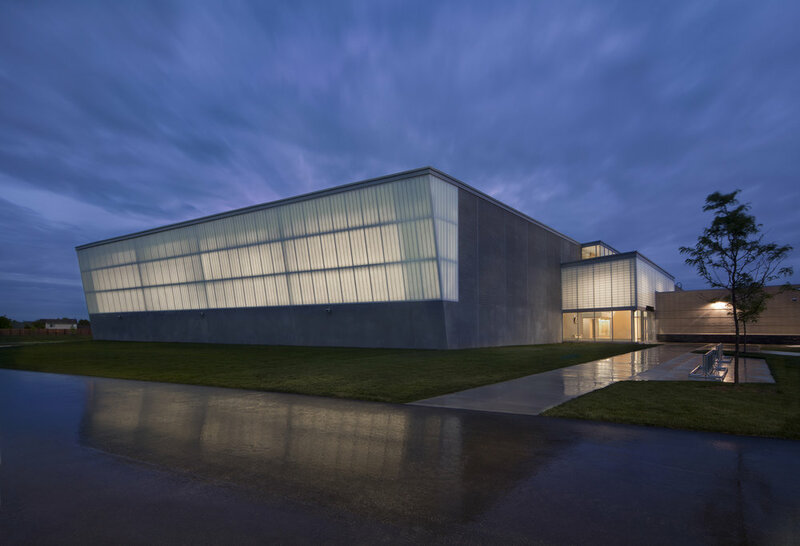 Outdoor courtyards provide secure outdoor gathering space and, along with high ceilings and clerestory windows, bring natural daylight into the school. DLR Group provided architecture and interiors services.